So SleekMakeup recently collaborated with fashion house PPQ and came out with yet another amazing limited edition palette, Me, Myself and Eye. They have basically filled this palette with gorgeous shades featured in this season autumn/fall colours. The palette consists of 12 eye shadows, a mixture of shimmery and matte colours but with more shimmery than matte colours. The colour pay-off is highly pigmented and incredibly amazing with a great and affordable value. So after purchasing this palette I realized it was too pretty to be used alone hence got some more for my lovely subscribers. So in order to participate in this free giveaway, you need to comment on this post saying “Enter me” with your name. If you comment as anonymous I won’t be able to reach you. · You MUST be a subscriber of my blog. Click 'here' to be a member. P.S. You may have to follow publicly and confirm from your yahoo inbox in order to show up as a member. 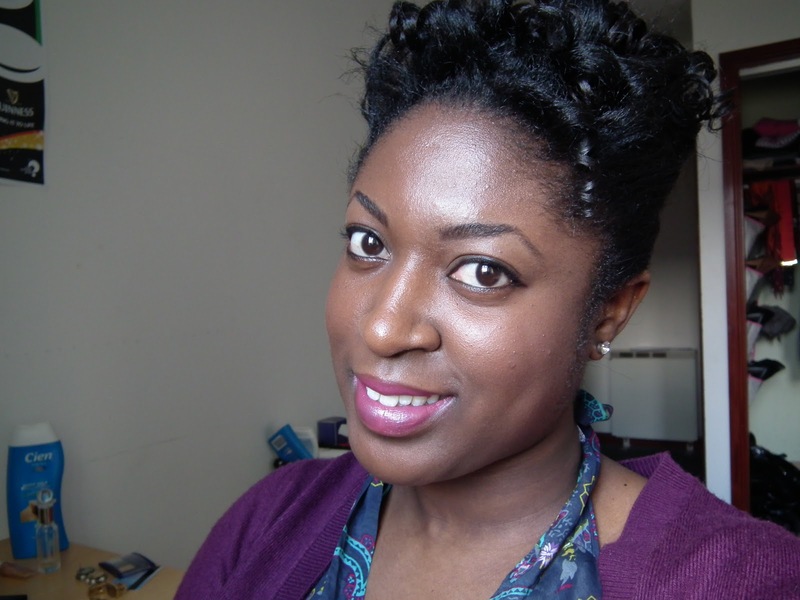 So I recently went to Superdrug to get some few products and try out a foundation, Revlon Photoready, which I had seen on a youtuber, BeautybyJJ. After trying it on a portion of my face, I found it to be a bit heavy, not an everyday wearable foundation but as the name suggests, it is very good if you are doing a photo shoot or would be taking photos as it brightens the face. I must say it does all that’s written on it and am very impressed. Although it is not such a high end product like the MACs and MaryKays it does a much better job. 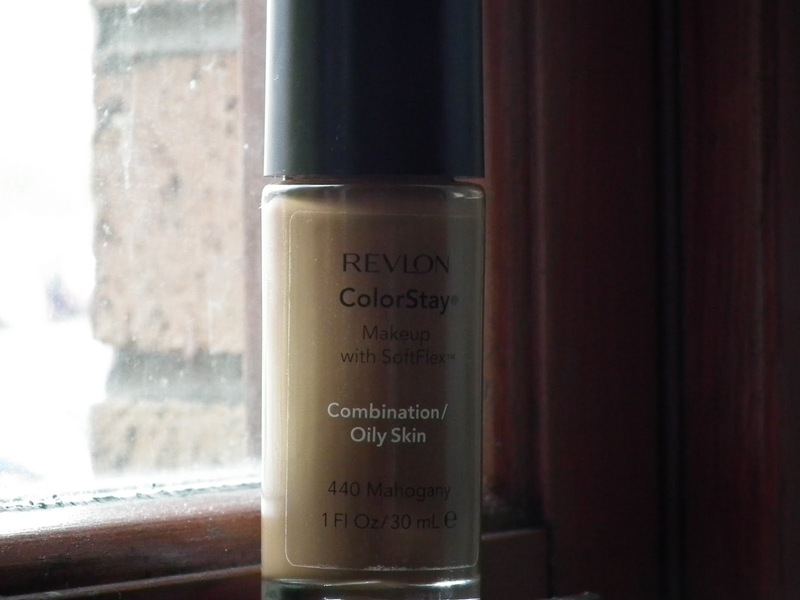 If you are searching for a sheer to medium coverage foundation, for oily/ combination skin and do not want to spend a fortune I’d say go for this. 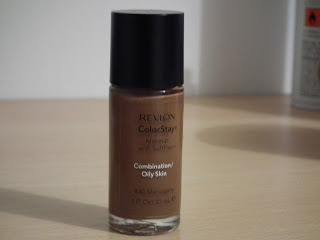 It gives a natural, matt finish, very lightweight and I would say it’s my favorite liquid foundation so far. Others I have are the MAC Studio Fix Fluid, Mac Face and Body and Sleek New Skin Revive. You might say it is a lot but I have them for various reasons depending on the type of finish and coverage I am searching for. But this is now my go to, all time favorite liquid foundation, love it. · Revlon does not have a wide range of choice for women of colour, the darkest shade being Mahogany, tut tut. Anyways to apply this gorgeous foundation I’d recommend a stippling brush which gives a totally flawless look, stipple the foundation all over your face and buff to even it out, allowing to dry for 2 minutes and set it with any finishing/ translucent powder of your choice. I also used an ELF flat top brush and it gave an amazing finish. So my dear friends, if you happen to search for the foundation that gives a more natural look, that breathable, for oily/combination skin, and most importantly less expensive, I’d say it’s the Revlon ColourStay. Have you come across it or perhaps use it? Let me know what you think. Those in Gh can check from the cosmetic shops along the Rawlings park or in the Makola Shopping Mall. So I grew up with a mom who was and still is into makeup and was always perplexed as to why she even bothered to spend so much time to put that brown powder called, ‘pancake’, on her face with that red lipstick of hers. I remember going to Makola or Rawlings Park with her and fuming over moving from one cosmetic seller to the other looking for some of that ‘pancake’ stuff. These annoying sellers would try to sell different types even when you go looking for a particular type. She was always trying different brands and sometimes when she felt there was a particular product she liked she couldn’t find it anymore because either the product was a one off item or the seller had relocated. Sometimes she would get recommendations from friends to try out some particular brand but was never satisfied. So when I grew up and felt that it was time for me to start using makeup, in university, lol, I really didn’t know what I was doing and would steal my mom’s but because she was fairer than I was it always looked horrible and then I got discouraged and vowed never to use pancake, mine was lipgloss and eyeliner. How I hated even lipstick my bestie, Fafa, would attest to that fact. So I started experimenting on makeup by watching friends and trying on products and getting some recommendations from self acclaimed makeup artists, lol. The first I got was a sleek coverstick which was technically a concealor and always left me oily. Then I was recommended to try the Sleek Translucent loose powder which I was told would soak up oil and was good for oily skin. Hmmmmmm still did not work a hundred percent for me as I did not know the right products to go for. So luckily for me after visiting the high end products, MAC, and learning from experienced makeup artists on youtube, lol, I finally understood what product would be suitable for me. Well I am still learning and trying on different products to find suitable ones. Also learning the techniques of application has been very helpful as it can cause a difference in the overall look. So how was your first major experience with makeup like? Feel free to comment and follow.